MONTEVERDE, Costa Rica – Walking along dirt trails engulfed in darkness, participants at the Wildlife Refuge night tour in Monteverde have only narrow beams of light from small flashlights for guidance. On this cool July night, tourgoers are treated to sights of insects that resemble leaves, a trio of rare oil birds, and a mother and baby sloth. Surrounded by the sounds of a rainforest that comes alive at night, certified naturalist guide Marcos A. Méndez Sibaja begins to highlight the cultural and ecological importance of a cherished animal that is now extinct. The golden toad was once considered a symbol of Costa Rica’s abundance of biodiversity, and Monteverde was the only place on Earth where it was possible to see one in its habitat. In 1988, the year before it disappeared, 1,500 golden toads were recorded. The next year, only one male was found, and it was the last to ever be seen. “For Monteverde, losing the golden toad, it’s like losing…part of our soul, because that was one of our flag animals. The golden toad, the quetzal, the bellbird,” Méndez Sibaja said. For the first few years after its disappearance, the people of Monteverde began to wonder what had happened to their tiny, golden creature. By 1995, scientists began to collaborate and make a greater effort to understand why the golden toad had suddenly vanished. Two years later, herpetologists from around the world identified the culprit. A fungus referred to as the chytrid fungus, or chytridiomycosis, was adhering to and hardening the amphibians’ skin, hindering their ability to breathe. The golden toad had suffocated into extinction. “Amphibians breathe through the skin, and they also drink water through the skin. If the water is dirty, or if the air is polluted, then (they are) one of the first things to go,” Méndez Sibaja said. In the wetlands of Palo Verde National Park in Costa Rica, scientists are studying amphibians and how changes to the environment impact their survival. Researcher Davinia Beneyto studies environmental changes and their effects on amphibians in Palo Verde National Park, Costa Rica. 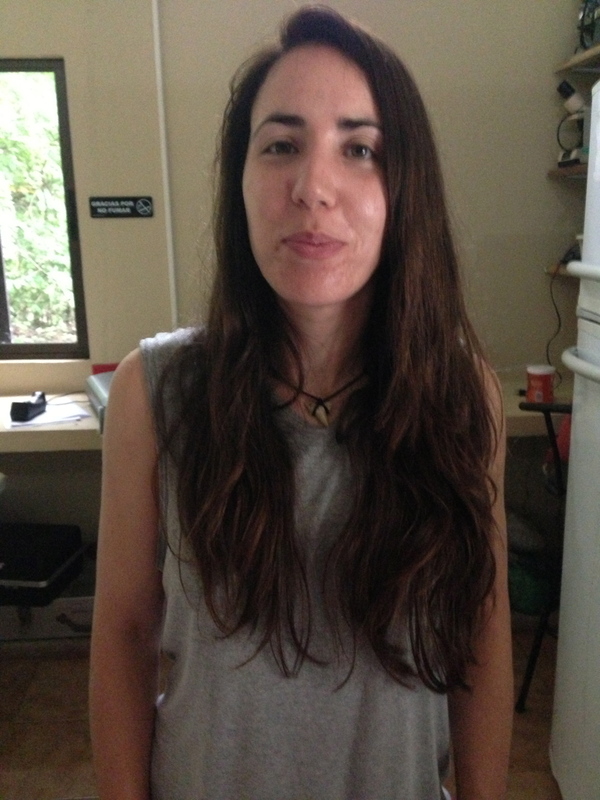 Scientist Davinia Beneyto, who earned a master’s degree in biology from Valencia University in Spain, has been researching at the Organization for Tropical Studies field station at Palo Verde for the past three years. The case of the golden toad was the first one where people began to realize that something extreme was happening to amphibians, Beneyto said. Viruses, pollutants and habitat loss have also become a serious threat to amphibians not only in Costa Rica, but worldwide. Because the skins of amphibians are very delicate, changes to the outside environment are detrimental to their survival. Most amphibians are exceptionally sensitive to their environments, and require specific conditions of the habitat in which they live. “For amphibians, they need a really dense forest, and we are destroying that,” Beneyto said. The viruses being studied target the nervous systems of the body. The virus’s origin is unknown, but it is now recognized to be a serious threat to the survival of amphibians across the globe. Scientists are taking tissue samples of infected amphibians to gain a greater understanding of its effects on the body. Habitat loss is another major threat to amphibians around the world. In dry places such as Spain, irrigation systems are used for the cultivation of agriculture. In the past, large sources of water, such as ponds and large pipes, were used for these irrigation systems. These large bodies of water were great for the amphibians to live and reproduce in, Beneyto said. Today, they are being substituted by smaller tubes to avoid water loss. Amphibians are unable to reproduce inside these tubes, causing their population to diminish. Humans are destroying the rainforests and lands where amphibians thrive, and this is threatening the existence of amphibians. As humans install more irrigation systems, the result is less space for amphibians to live, eat and reproduce. Beneyto believes the problem of global warming and its effects on rising temperatures will worsen with time. When temperatures in the atmosphere rise, the amphibians seek out lower temperatures, so they travel to higher altitudes where the climate is cooler. The higher they travel, the less space there is to live and reproduce. Beneyto says that eventually the amphibians will run out of space, and they will die. 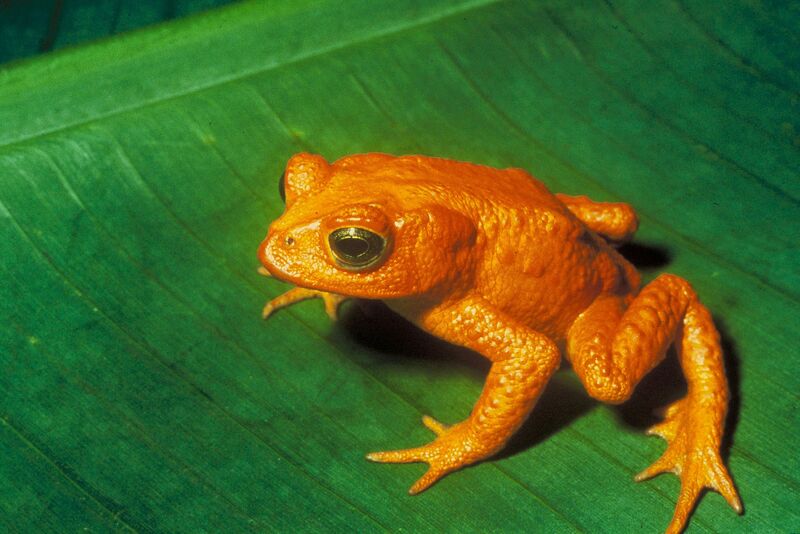 It’s been nearly a quarter-century since the fate of the golden toad alerted scientists to an emerging problem. An increase in water temperatures has caused the relentless chytrid fungus to prosper, leaving thousands of species of amphibians worldwide threatened with the possibility of extinction. As pollution, rising water temperatures, disease and deforestation continue to occur, the future for amphibians appears murky.